Barnlee Nook, Hexhamshire Low Quarter. Photo by Peter Ryder. The west end wall of an old farm building has certain characteristics that suggest it might have been a bastle. These include a boulder plinth around the base of the building, massive corner stones and the fact it is over one metre thick. 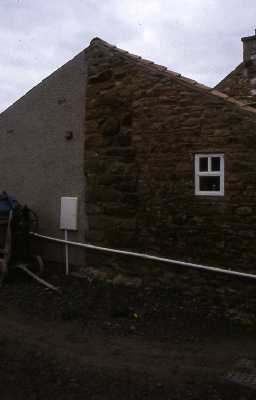 The building has now been converted into a house.